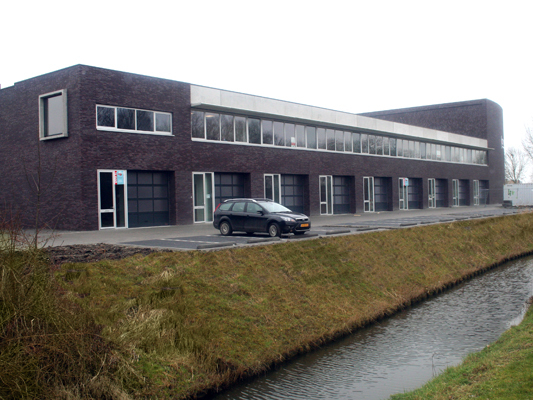 The building is situated at the crossing of the main access way into Middelburg and a very important inner city, east-west connection. 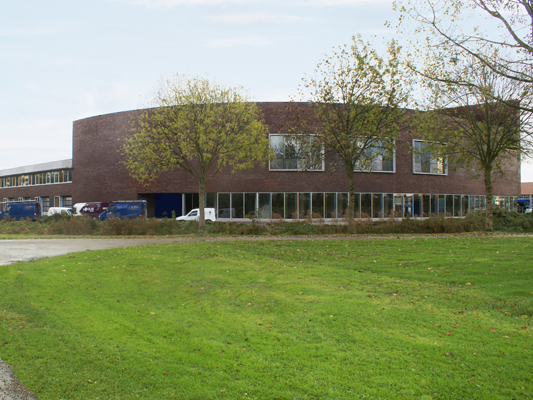 This situation led to the division of the building in three sections: the “head”, a quarter-circle piece facing the intersection and a longer, lower main part. 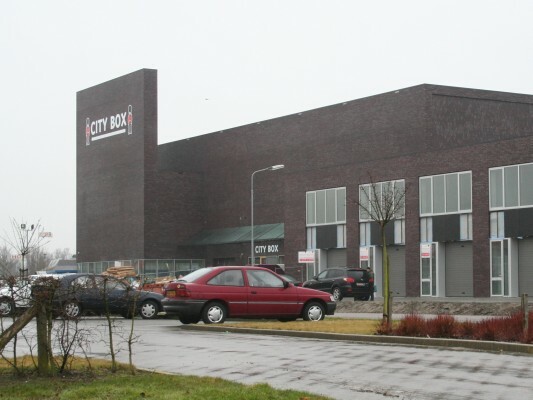 This composition reflects the different functions housed in the building, from the multifunctional business units on the outside and the self-storage facility Eurobox. 62 mega garages are situated in between the two parallel lines of business units, accessible via an interior street on two levels, open to most private and commercial vehicles. 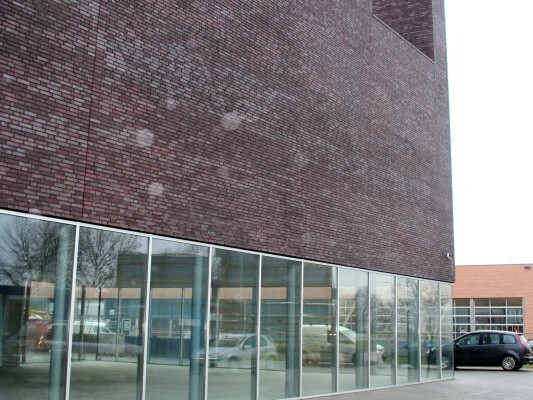 The 7m high wall facing the north-south axis of the access road, which is used for advertisement, makes the building highly visible, sets a strong counterpoint to the dynamic curvature of the adjacent part and impressively marks the corner of the street. 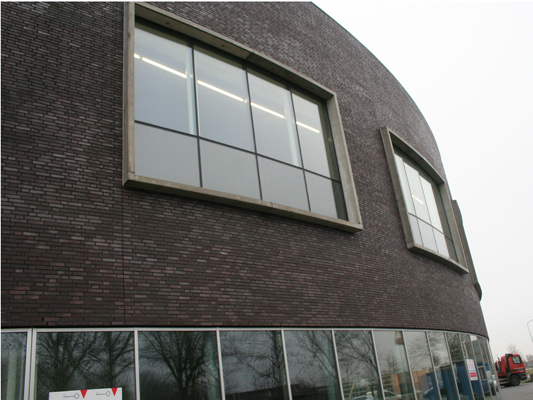 The entire complex is mainly made of prefabricated concrete, covered with reddish-brown brick and contrasting, aluminium window-frames, in some places supported by concrete window frames, protruding from the main mass.